Weddings are always a real test for feet. (It's a matter of strategically placed blister plasters and flats stowed in a tote bag for when you just can't wear heels any longer.) 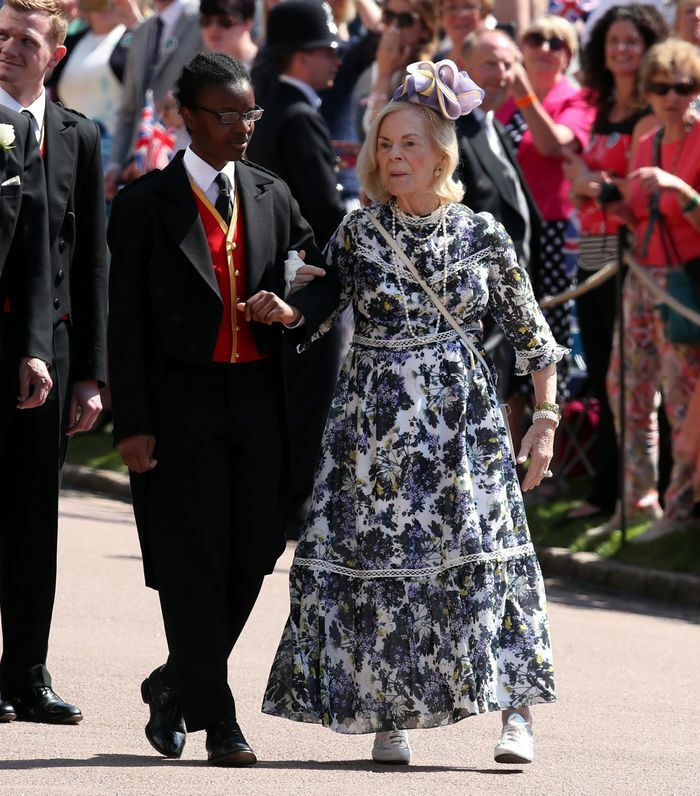 At the royal wedding this weekend, one guest really stood out for me, as she wore white trainers with her floral Erdem maxi dress. The Duchess of Kent, 85, wore a beautiful, romantic blue-and-white floral-print ankle-grazing dress with a pair of simple white lace-up trainers by Hogan. You might think that trainers to a wedding are a big no-no, however, the Duchess shows that you really can wear tennis shoes for any dress code and look totally fabulous. If the first cousin of Queen Elizabeth II can wear white trainers to the Royal Wedding, then so can we. Keep scrolling to see her outfit, and then shop our favourite wedding-appropriate dress-and-trainer combinations below. For more royal wedding coverage, see all of the best wedding guest outfits.